Get home cleaning services in Kolkata with a 30-Day Service Guarantee and Protection against Damage upto INR 10,000. We have Well Equipped and Trained Team, who carries out Deep House Cleaning and Sanitization with Non-Hazardous Chemicals. UrbanClap offers deep home cleaning services that you can avail to get a healthy and hygienic environment in your home. Book one now on UrbanClap! Excellent service. Completely satisfied. Will definitely recommend. If you desire a clean home that is free from dust, germs and pests but are too busy to do it all by yourself then you need not compromise. You can still get your dream sparkling clean home without spending days or even hours doing it. You must be willing to give a chance to cleaning professionals to wow you. 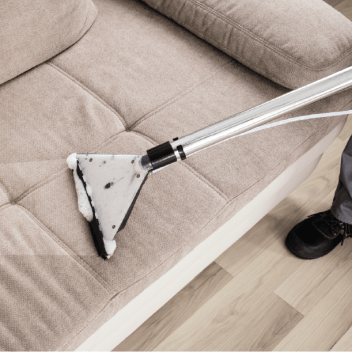 UrbanClap offers deep home cleaning services as well as individual cleaning services such as sofa cleaning, carpet cleaning, bathroom cleaning, kitchen cleaning, etc. that you can avail to get a healthy and hygienic environment in your home. 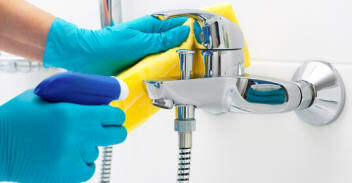 Efficient Cleaning and Sanitation: Cleaning professionals are trained in carrying out the cleaning tasks and also have access to professional grade equipment and cleaning products to carry out the job more efficiently than you. They also sanitise and disinfect your home. Time-saving: People who are not trained in carrying out cleaning tasks need to spend at least twice the amount of time in cleaning as compared to trained professionals. By hiring professional cleaners, people can free up their precious time. Cost-effective: Most people think of hiring cleaning professionals as an expensive affair. However, this is only one side of the story. They fail to consider the other factors such as,the money they save by not purchasing expensive cleaning products and disinfectants since the professionals bring these products for the service,the money saved on health issues such as allergies, skin infections, rashes, etc. 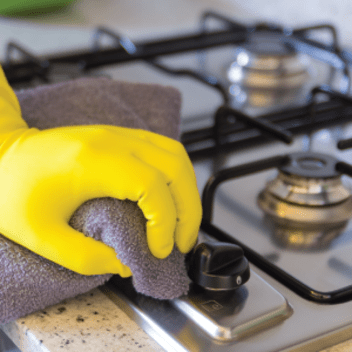 that are common in people living in dirty homes,time spent in cleaning the house that can be utilised in other things such as upgrading their skills, learning new things, etc. Reduced Stress Levels: Nothing can be more stressful than finding out that the only free day of the week you have in the coming days will have to be dedicated to cleaning the home. Not to mention the low energy levels that you will have after the chore is completed. Therefore, it is better to hire professional home deep cleaning services. We Run Background Checks on Professionals Before Registering Them: Safety can be a concern for people who are not used to hiring service providers since they are afraid of letting strangers into their house. However, with UrbanClap the customers do not need to worry about their safety since we only register verified professionals. We check their credentials, service quality and background to make sure that we and our customers can trust these professionals. We Run Background Checks on Professionals Before Registering Them. Safety can be a concern for people who are not used to hiring service providers since they are afraid of letting strangers into their house. However, with UrbanClap the customers do not need to worry about their safety since we only register verified professionals. We check their credentials, service quality and background to make sure that we and our customers can trust these professionals. Our Professionals Only Use Non-hazardous and Biodegradable Cleaning Products: We, at UrbanClap, are committed to providing high-quality services to our customers while also being attentive towards the impact of cleaning products on the environment. Therefore, our professionals only use biodegradable cleaning solutions that are potent disinfectants but do not have an adverse impact on the environment or your health. We are Established: UrbanClap is one of the few established marketplaces in India and caters to customers in 8 major Indian cities (expanding more) and Dubai. You can rely on us since we have maintained quality standards in our services since inception. We strive for 100% customer satisfaction and focus on continual improvement in our services. Our Services Can be Booked Easily: You can book our services from the UrbanClap website or mobile app at the click of a button. By providing necessary information such as the size of the house, booking date and time, you can easily book our services within minutes. There is no need to go anywhere, call anyone or even be at a specific location to book our services. Our professionals will come to your house with the cleaning products and equipment at the appointed date and time. 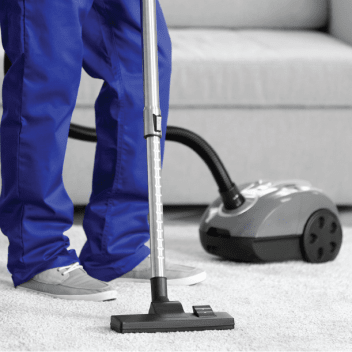 What are the Equipment And Chemicals Used for the Home Deep Cleaning Service? Equipment: Vacuum cleaner, steaming machine, Scotch Brite scrubber, small wipers, bucket, mugs, broom, mops, toilet brush, disposable bags, microfibre, hard cloth dusters, etc. In addition to home deep cleaning services, we also offer kitchen deep cleaning, bathroom deep cleaning, sofa cleaning, car cleaning, etc. from our website or mobile app. Currently, we are offering our services in New Delhi NCR, Ahmedabad, Bangalore, Chennai, Pune, Mumbai, Hyderabad and Kolkatta in India and Dubai.